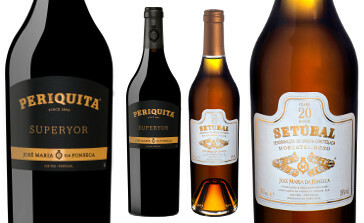 The Periquita Superyor 2014, a top red wine from Península de Setúbal, was considered among the top reds of the year alongside another 19 wines and achieved 17.5 points and the Moscatel Roxo 20 Years, composed of a blend of 4 different vintages where the youngest is 23 years old and the oldest is 80 years old, was considered one of the best fortified wines of the year with 19 points. “ For José Maria da Fonseca and for me personally, it is with great pride that we have two wines among the best of the year, selected by one of the most prestigious wine writers in Portugal. We work hard to improve the quality of our wines and challenge ourselves to achieve the highest level of excellence” mentions Domingos Soares Franco, Vice-President and Senior Winemaker of José Maria da Fonseca. Alongside numerous other ratings for the wines from José Maria da Fonseca, the Periquita Reserva 2015, was highlighted also as one of the best red wines between €4 and €10, have achieved 16 points. The wine guide, “Vinhos de Portugal”, from João Paulo Martins has been edited over 20 years and is one of the most important wine guides in Portugal. The journalist writes about wines since 1989, and has a column in the weekly newspaper “Expresso”, along with its monthly articles in the magazine “VINHO – Grandes Escolhas”.